I crunched the numbers on urban school districts. Charlotte-Mecklenburg Schools is among the best. The recent community conversation about student assignment left many people wondering about the future of Charlotte-Mecklenburg Schools. In my own work to promote children’s literacy, people often ask how CMS compares to other school districts. They’re surprised when I tell them it’s one of the best in the country. I know because we have the data to prove it. The National Assessment of Educational Progress (NAEP), is often called the “Nation’s Report Card.” First administered in 1969, it is the largest continuing and nationally representative assessment of what our nation’s students know and can do in core subjects. Since 2003 CMS has been one of a select group of urban districts with its own NAEP assessment. Every two years, approximately 6,000 CMS 4th and 8th graders are tested in reading and math (roughly 1,500 students per grade and subject) on this rigorous national assessment. There is no way to “teach to the test” since students are randomly selected from a representative sample of schools in the district. Moreover, the NAEP reading assessment requires students not only to answer multiple choice questions but also to provide written responses to questions. 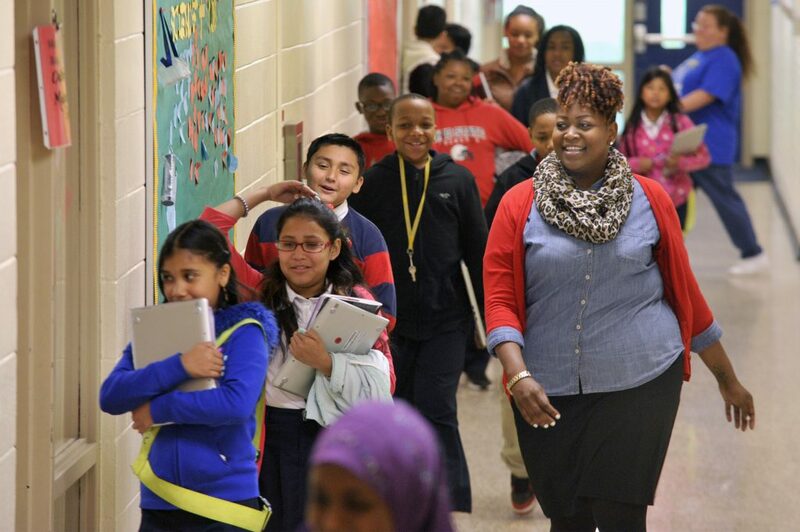 In 2015, CMS was one of two urban districts to have the highest percentage of 4th graders score proficient in reading and math on a rigorous national assessment. One of the benefits of NAEP is we can compare CMS to other large urban districts. In 2015, CMS shared a six-way statistical tie for the top spot of fourth grade reading proficiency with five other large urban school districts: Austin, TX; Duval County, FL (Jacksonville); Hillsborough County, FL (Tampa); Miami-Dade, FL; and Jefferson County, KY (Louisville). For fourth grade math only, two districts shared the top spot for proficiency: Austin and CMS. Some might argue this is not an honest comparison. After all many other urban districts are comprised largely of poor and minority students, while CMS still has significant numbers of white, black, Hispanic and Asian students of varying income levels. A fairer comparison is to see how CMS stacks up for demographic groups representative of our most challenged schools. Let’s look at how CMS stacks up for three groups of students: low-income, black students, and low-income black boys. For each of these groups of students, CMS is one of the top performing urban school districts in the country. No other district outperformed CMS in proficiency levels for 4th grade reading or math for low-income students, black students or low-income black boys. Even starker, only one out of the 21 urban districts was a top performer (tied statistically at the top) across all of these student subgroups (all students, low-income students, black students, low-income black boys) for 4th grade reading and math — you guessed it, our very own Charlotte-Mecklenburg Schools. Our current level of reading and math proficiency in CMS is nothing to crow about. We have a lot of work to do. At Read Charlotte we are working hard with CMS and a large number of community groups to improve early literacy outcomes over the next 8 years. Yes, we have plenty of challenges in Charlotte-Mecklenburg. But in relative terms, we have an incredible opportunity to improve educational outcomes for all kids if we commit to continue to work together. This is how we build a community we are proud to live, work and play. Want to geek out some more? 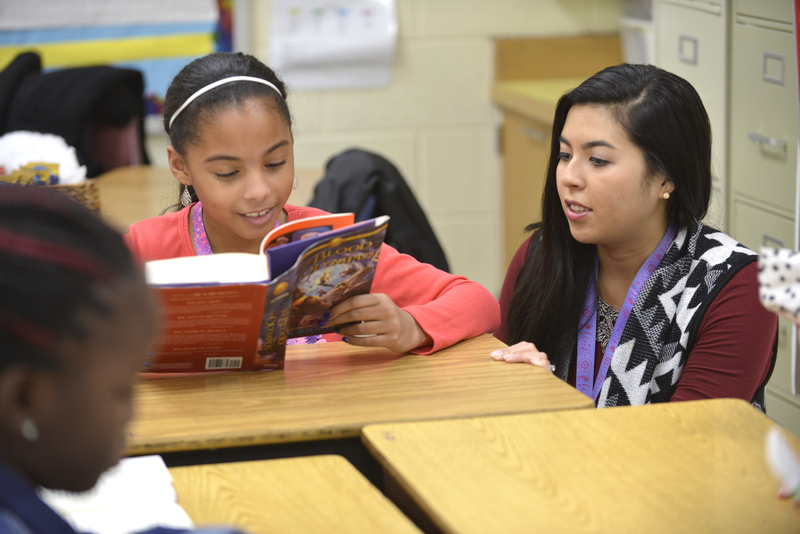 Check out Read Charlotte’s Reading Success Dashboard to learn which schools need your help get to 80% third grade reading proficiency by 2025.